Every city and town we visit has a variety of stories to tell. These range from entertaining to amusing and at times horrific. 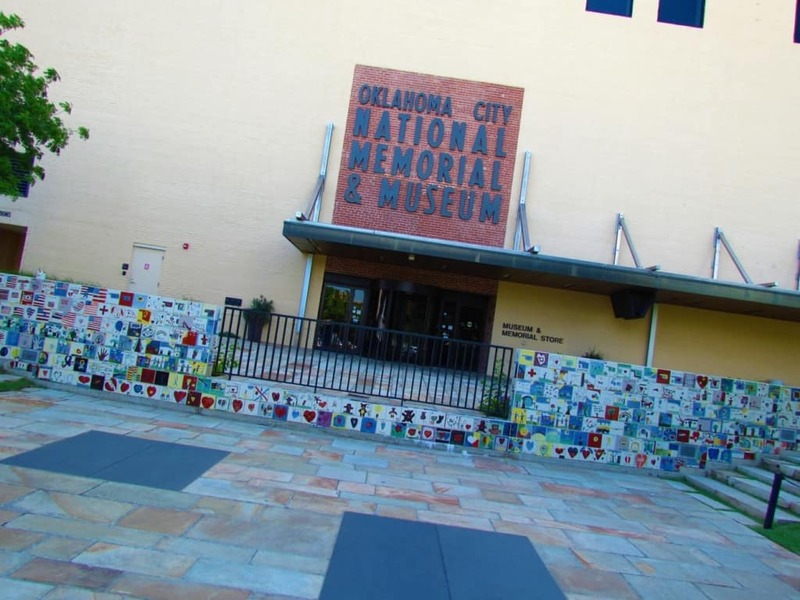 We had no idea what to expect when we visited the Oklahoma City National Memorial & Museum. Most everyone is aware of the bombing that took place on April 19, 1995, and there have been an untold number of articles written about the event, the suspects, and the victims. At the time, it was the worst terrorist attack to take place on American soil. 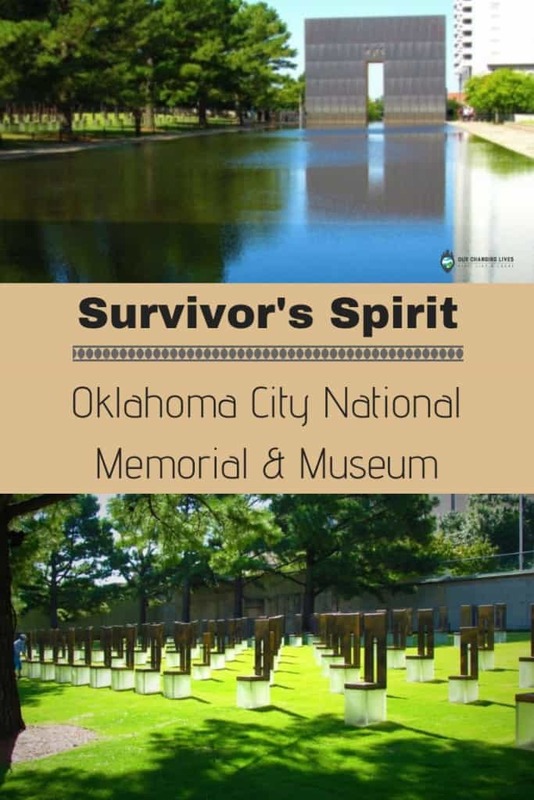 We want to thank the Visit Oklahoma City and Oklahoma City National Memorial for their hospitality. Rest assured that all opinions are our own. It was hard for me to imagine how I could add anything notable to this myriad of information. The facts of the event have been well documented. 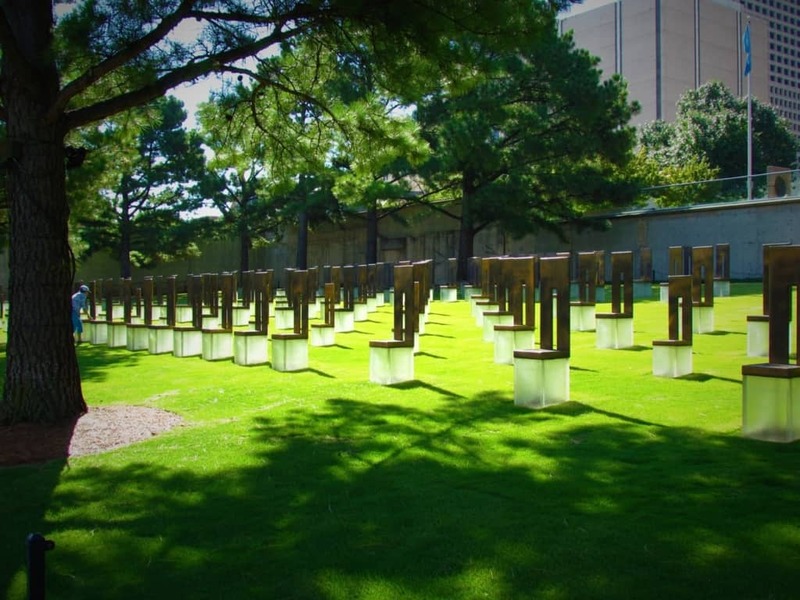 On the fateful spring day, a truck filled with explosives was parked outside the Alfred P. Murrah Federal Building in downtown Oklahoma City. At 9:02, the blast ripped through the 9 story structure with terrifying force. The entire north wall was ripped from the building, destroying about a third of the structure. Over 300 other buildings, in the area, were damaged or destroyed. Cars were upended and burned beyond recognition. Many of the surrounding structures had the glass blown out from the blast. It was hard to fathom the amount of damage caused by this heinous act. We can remember watching the news reports, as they flooded across every station. The entire nation sat in silent prayer, waiting for updates. This event had ripped a hole in the shroud of innocence of America. We no longer were a country that heard reports of terrorist activities in far away places. This had hit us right in the heartland. While the citizens of our country were still reeling, the authorities were hard at work. Within ninety minutes of the bombing, a man was stopped by Oklahoma Highway Patrol for driving without a license plate. He would be arrested for possession of illegal weapons. His name would later be identified as Timothy McVeigh. Working diligently, federal investigators were able to link McVeigh to the scene of the attack. Soon, forensic evidence would tie a second suspect, Terry Nichols, to the crime, as well. In a short time, investigators concluded that it was McVeigh who detonated the bomb, while Nichols had assisted in the bomb’s preparation. The motivation behind this despicable action had been McVeigh’s disdain for the way the U.S. government had handled the Ruby Ridge incident, as well as the siege with the Branch Davidian group in Waco, Texas. 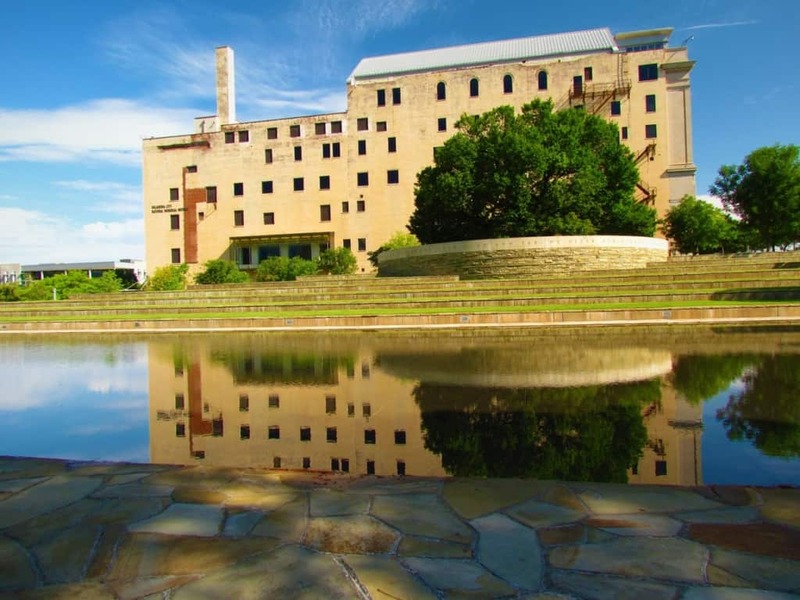 The bombing had coincided with second anniversary of the fire at the Waco compound. The trials would take place within a couple of years of the event. Nichols was found guilty and sentenced to life in prison. 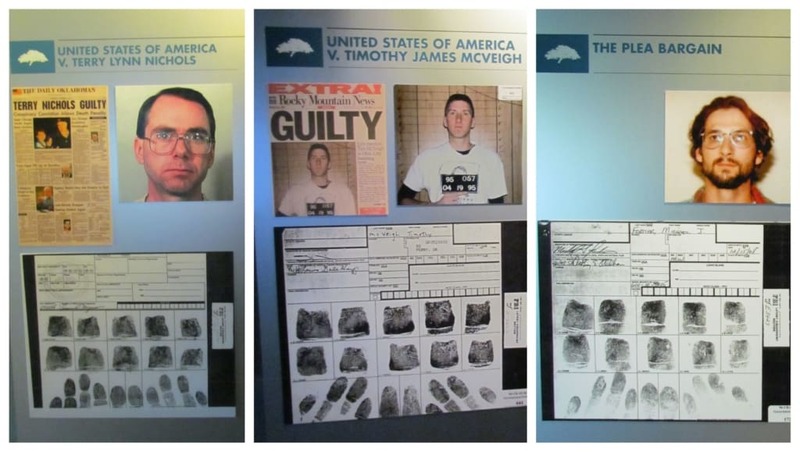 McVeigh was found guilty and sentenced to death by lethal injection, which was carried out on June 11, 2001. That same year America would experience the attack on the World Trade Center. A third suspect, Michael Fortier, would be charged and found guilty of failing to inform the government. Fortier and his wife would testify against the other two defendants during their trials. 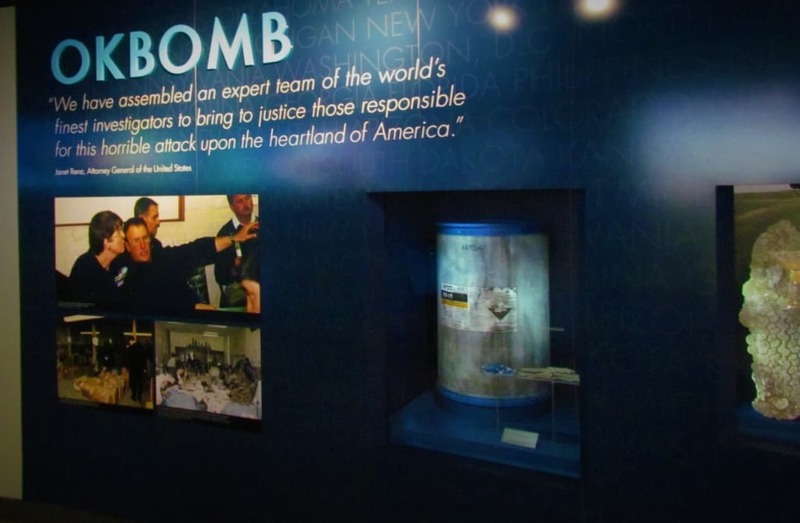 Those are the basic facts behind the catastrophic event of April 19, 1995, but it’s not the real story that the Oklahoma City National Memorial is focused on. The real message is about heroes. Any event, even one of this magnitude, will turn everyday people into heroes. 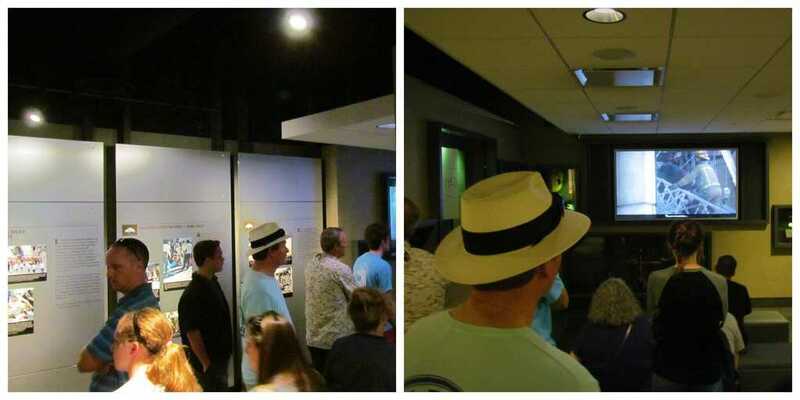 As we made our way through the museum, we were first presented with the facts of the events. You have to be able to understand the atmosphere of the moment to truly appreciate the fear and unknowing, that faced those in the vicinity. 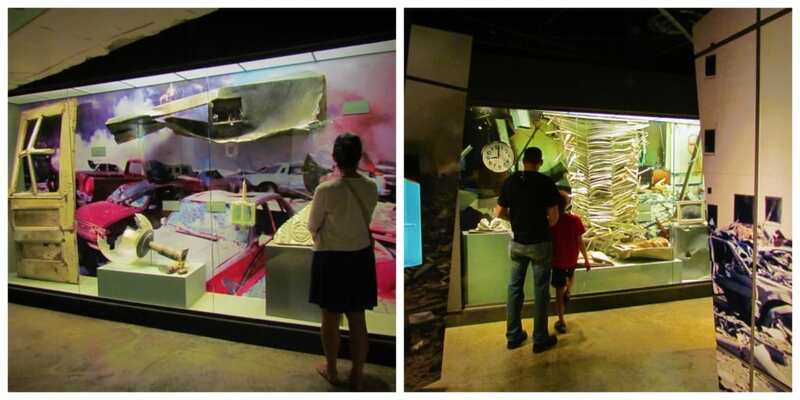 Walking through the galleries, we saw glimpses of the destructive power of the bomb. Even though the rooms were filled with visitors, hardly any words were spoken. This was a time to take it all in and begin truly processing the information. As we progressed, the exhibits changed their focus to the men and women who became impromptu rescuers. Many of these people were just ordinary everyday office workers and citizens, like you and me. Pressed into an unexpected scene of destruction, their basic survival instincts broke through and drove them to do feats of unbelievable bravery. This is the true story to be gained from this type of horrific event. It is those who survive who will mourn their friends and coworkers who were lost. The strength that lies within all of us is seen in moments like this. While watching reports and reading the recollections of those present, it is humbling to think of the strength it must have taken to focus on others in a time that they were unsure of their own safety. Only hours after the explosion, locals began making makeshift memorials to those they lost that day. While it would not be known until later, the final death count would end up being 168 Oklahomans. A chain link fence, erected to preserve the crime scene, would serve as a backdrop for the ongoing addition to the makeshift memorial. Poems, messages, and various memorabilia was hung on the fence. It was such a moving tribute that a portion was preserved as part of the permanent memorial. On April 19, 2000 the Outdoor Symbolic Memorial was dedicated. Five years after the terrible event, the city was still attempting to heal. 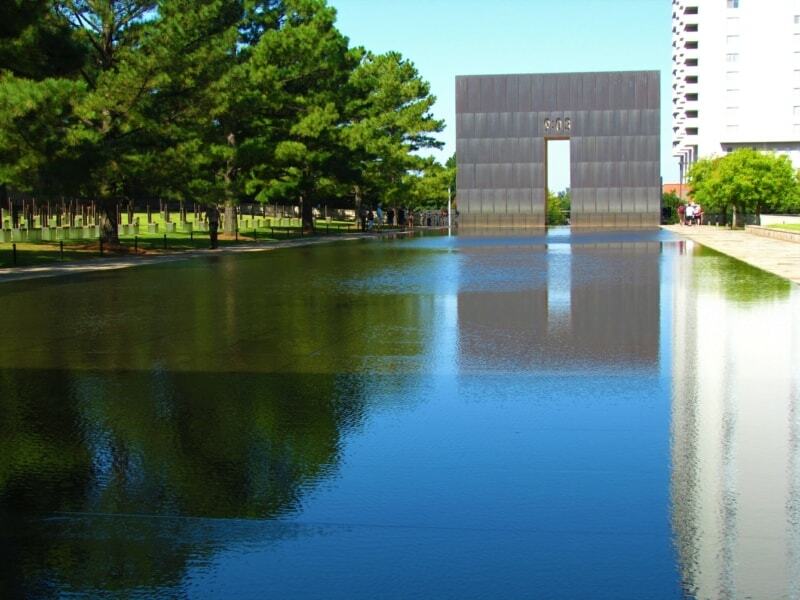 Less than a year later, the Oklahoma City National Memorial and Memorial would open. It is dedicated to those who were killed, those who survived and those changed forever. 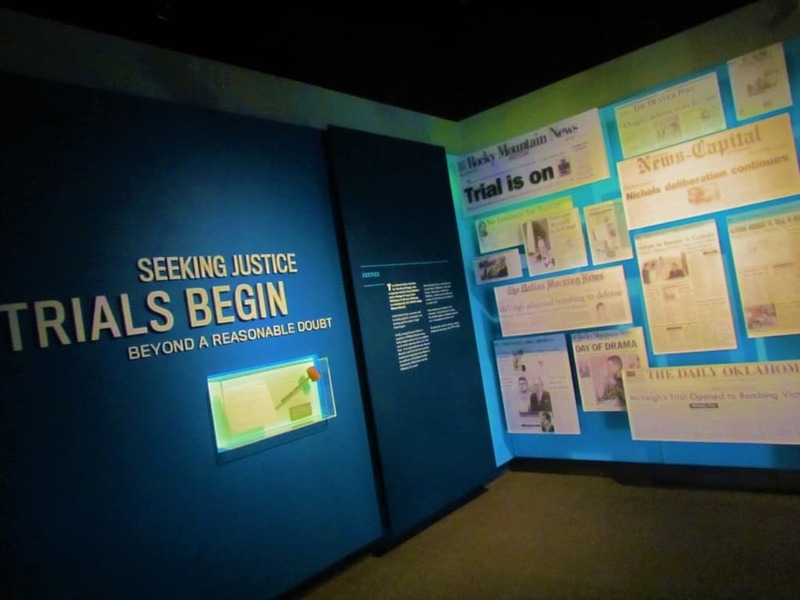 With 35 interactive exhibits and hundreds of hours of video, it is impossible to take it all in during one visit. We found that by the end of our visit the overwhelming message was one of overcoming. The people who overcame their fears and injuries to assist their fellow neighbors. 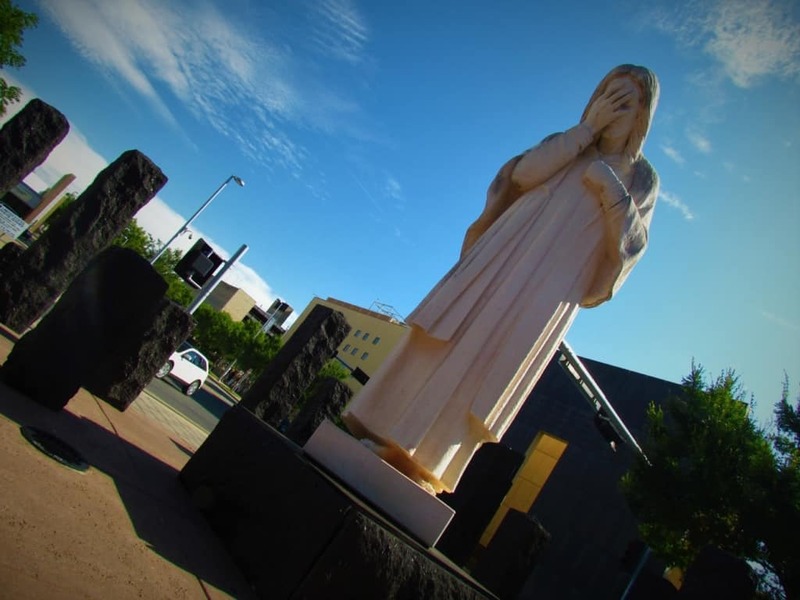 The residents of Oklahoma City who overcame their trauma to be able to pay their respects to the friends, family, and community members they lost. Our nation would never return to its days of innocence prior to this act of internal terrorism, but we found out that the human spirit is stronger than some would expect. Do you remember where you were on that fateful day? Share this article. Keep the survivor spirit alive. I wonder when the term ‘domestic terrorism’ came into vogue, in relation to this event. I would like to see the memorial. Today I arrived in India, and it’s the 10 year anniversary of the bombing at a hotel Mumbai. The event is still raw for those who survived. Thanks for posting. It’s interesting to visit these type of sites for reference, but we sometimes forget the impact it had on those in the region. Thanks for stopping by and reading the article. We appreciate your comments. Thank you for sharing more about this tragic day and about the museum that honors those affected by it. No matter how many years pass, may we all continue to learn about its historical significance and the ways it impacted so many. Well said. Thanks for this important reminder. We visited this in 2011 and was moved like you. For next, the highlights we’re the bookend memorials, the chairs, and the crying priests. It is definitely a place of remembrance. It’s good that the museum has focused on the positives arising from such a terrible event – a reminder that there’s more good than bad in the world. We only wish more people would do the same. Focus on the positives.